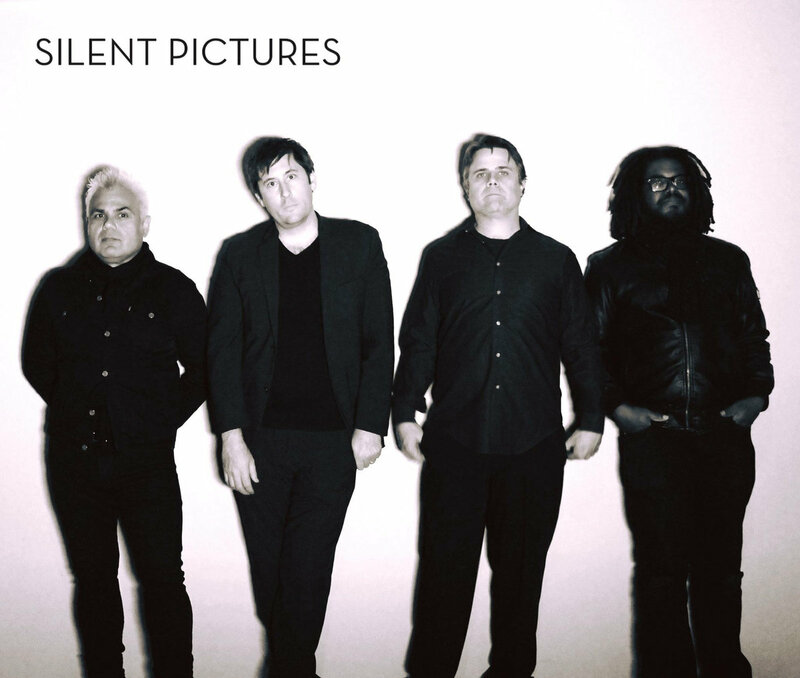 Silent Pictures is the collaboration of Alexander Mann who started performing in 1989 in the band Valeria and Your Precious You in the early 90's San Francisco shoegaze scene. Upon the dissolution of those projects Alexander continued to perform throughout the world separately in multitude of projects such as Mellow Drunk, Boyskout supporting groups such as Supergrass, The Church, The Killers, Luna, Yo La Tengo, Tegan and Sara, Trashcan Sinatras, the Brian Jonestown Massacre to name just a few. In 2010 Alexander began to record music and films for Silent Pictures whose first performance was in early 2010 supporting iconic 80's glam goth band Gene Love's Jezebel in San Francisco. As of 2016 Two full length albums and 4 enhanced EP's containing film and audio had been released. After a few North American tours in 2011 and 2012 Legendary 4AD, Mute Records Producer John Fryer met Silent Pictures. John is credited on working on the first records for Depeche Mode, Yazoo, Cocteau Twins, NIN as well as famous singles and other albums such as "So Alive" by Love and Rockets, Wire and Chapterhouse. He began to mix and / or remix the bands recordings in Oslo Norway to put his own special touch on what was already a unique sound. A few songs from Silent Pictures LP Under Exposed are influenced by some of John's past collaborations with other artists beloved to the members of Silent Pictures. Silent Pictures second full length LP Let It Begin were recorded between 2014 and 2015 in California at Sky Lab Studio with Tommy Dietrick (Desert Stars Festival, David J) and on Dave Grohl's (Nirvana, Foo Fighters) legendary Sound City Neve board at Studio 606. After all tracking and overdubs were completed, individual raw tracks were transferred to studios in Glasgow Scotland, Oslo Norway, San Francisco CA and Los Angeles CA and were mixed by Dave Schiffman (Johnny Cash, BRMC, Dandy Warhols, Charli XCX), Joe Foster (co-founder Creation Records, Television Personalities), John Fryer (This Mortal Coil, Cocteau Twins, 4AD), Ricky Maymi (Brian Jonestown Massacre, Wild Swans) After all mixes were complete, digital and vinyl mastering was done by Howie Weinberg (The Cure, Nirvana, The Clash). The birth of Silent Pictures began in 1878 in Stanford California when Eadweard Muybridge and his remarkable technical skills produced the first-ever silent pictures and proved that a running horse has all four feet off the ground. Hijacking a movie genre is not an easy task. Much energy is put into preserving the vast collectively owned heritage which is the public property of all free breathing citizens on the planet earth—our early life in celluloid, music, free imagery and speech.